Complete our form below and an Epicurean Institute Enrollment Specialist will answer any questions you may have about our programs. We are currently accepting new applications for September 2011. Register Now for upcoming courses! Epicurean Institute supports research and education devoted to promoting the pursuit of pleasure in food and wine. Follow us on Facebook! 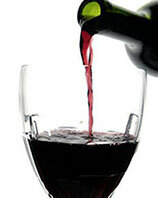 “The Sommelier program gives a great comprehensives perspective into the world of wine. Right from exhaustive wine tasting sessions in intimate settings with highly knowledgeable...” Read More from Satisfied Students! The Epicurean Institute, located in a picturesque Perugia, Italy, in the Umbria region, is an emerging, boutique institute specializing in the study of wine, food and hospitality. The Institute is jointly managed by an American and Italian team of food, wine and culinary world leaders including the former Dean of a major American culinary institute. The Institute is ideal for both amateur as well as professional culinary and wine connoisseurs alike. Intensive training by industry experts is provided to small groups of students immersed in their subject matter. These programs feature a unique training curriculum consisting of interactive lectures and demonstrations by our world renowned professional professors, along with our hands-on approach to learning wine and food production in the beautiful region of Umbria, Italy. Epicurean Institute presently offers a 11-week Sommelier course, accredited by AIS (Associazione of Italiana Sommelier) which is the largest Sommelier Association in the world. The course if taught by Mr. Gabriele Ricci, a leading Italian Sommelier at AIS. This program is ideal for those seeking to transition into becoming Sommeliers. 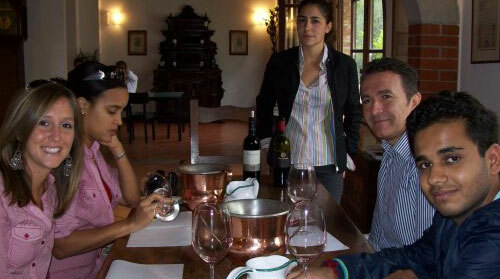 The Institute also offers Level I, II and III individually for wine lovers who are not seeking accreditation. 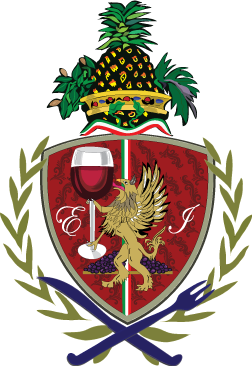 The founders of the Epicurean Institute have made it a leading, boutique culinary, wine and hospitality institute in the world that trains the world’s finest Sommelier’s, culinary and hospitality professionals and enthusiasts. The Institute has attracted applicants and students from around the world including the United States, Italy, Dubai, other parts of the Middle East, India, China, Singapore, Hong Kong, Japan, Korea, other parts of Asia and Europe, Russia, Australia, New Zealand, and many other countries around the world. For further information or to request an application, Click Here to Email Us or Call our New York/New Jersey enrollment office at 888.983.3948 in the United States. Copyright © 2009 - Epicurean Institute | Marketing by Higher Images, Inc.